Because of the technical complexity of street rod parts and components, it is often necessary to contact companies about their products and their operation. You can contact technical support persons either by phone or by e-mail. The following 10 tips may be helpful when you are contacting any technical support person about their product. the company that manufactured the part or product. catalog, business, or internet store where it was originally purchased. situation you are contacting them about. technical support person may yield several additional questions). as well as the date and time of the communication. 9. Always be courteous and friendly in all of your communications. 10. 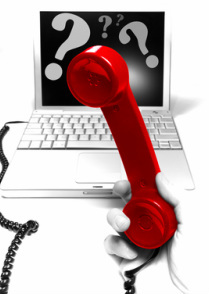 Give the technical support person your name and what you are calling about. For example, "My name is.... and I am calling about....."